Analytic Eye deals in all things data. We are all about gathering data together, generating actionable insights and building intuitive beautiful search interfaces. We are passionate about delivering data tools and solutions to our customers. We love to work on challenging problems and to see the fruits of our labor in action with our customers. From improved data quality to actionable analysis insights to smooth intuitive search interfaces – we can bring business benefits from data. Unleash the value of your data with Analytic Eye. 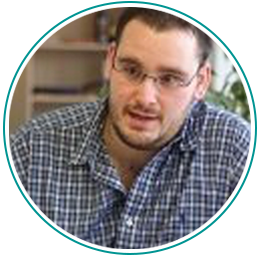 Edward has been involved with data quality, analysis and search for over a decade. He loves to solve complex challenges and build robust, scalable systems. He enjoys keeping up-to-date with the latest research, tools and techniques in the fields of search and machine learning and is a member of the IAIDQ (International Association for Information and Data Quality). Edward graduated BSc Hons Computer Science 1st Class from Bristol University and was awarded the Bull prize for best graduating Computer Science student.